In a move surprising almost no one, an escape room inspired by the Auschwitz Nazi death camp has decided to stop selling tickets amid public outcry over its apparent exploitation of one of the darkest chapters in the world’s history. According to a report by CNN, the company, Dostaň Se Ven, located in the Czech Republic, released a statement yesterday explaining that the escape room event was designed to draw attention to the horrors of the holocaust, not commercialize or make light of them. The company called the backlash to its Auschwitz escape room “understandable,” and pulled the sale of tickets for it from its website as a result. The company’s remaining escape rooms include a Hannibal torture chamber, a murderous clown story, and one that’s even inspired by The Green Mile. The way the existing marketing for these events appears to treat them like horror-movie reenactments makes it hard to believe that Dostaň Se Ven’s Auschwitz escape room was more a museum art piece or historical experiment than social entertainment predicated on cheap thrills. And it wasn’t even the first of its kind. A Greek escape room company came under fire last month for its own version of the activity. Prior to that, a Dutch company had the terrible idea of trying to make an Anne Frank bunker. Escape rooms have been on the rise around the world for several years now, offering up games that are more adventurous, interactive and improvisational than a board game at home or playing pool at the bar. 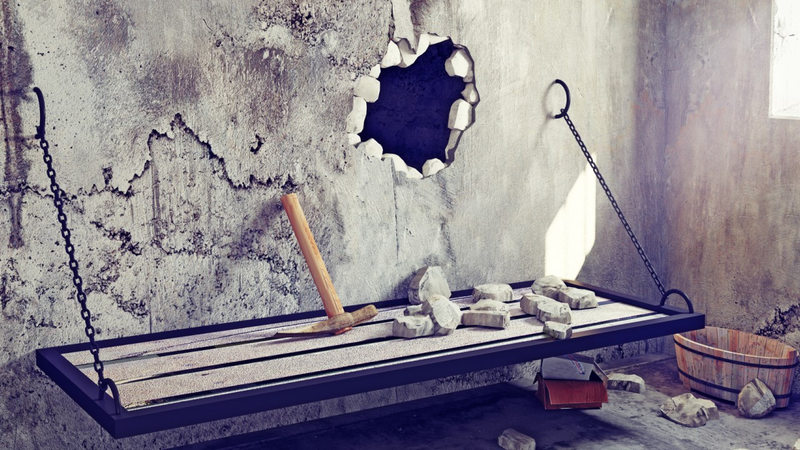 The escape room takes puzzles reminiscent of classic adventure games and builds them into 3D environments where players have a limited amount of time to piece together clues and find a way to escape their enclosures. Some puzzle rooms don’t really have themes. Others take place in more unusual locations like say, an old, decommissioned warship. Even Nintendo is getting in on the action, announcing last fall that a series of Zelda-themed escape rooms would be taking place around the United States throughout 2017. Obviously, there was nothing ‘interesting’ about the real Auschwitz and most people did not escape it alive. To add insult to injury, Dostaň Se Ven was advertising discounted tickets all last week in the lead up to this year’s Holocaust Memorial Day, a time as inappropriate as any to be trying to sell tickets to an Auschwitz horror game. It’s not the first time that the intersection of game mechanics and the systematic murder of millions of Jewish people has caused controversy either. Back in 2010, a Ukrainian programmer living in Israel ran into trouble for a Wolfenstein 3D mod that invited the player to partake in a “bloody tale of revenge set in a Nazi concentration camp. Called Sonderkommando Revolt, the mod sparked a backlash despite its creators calling it apolitical and “just for fun.” Rabbi Abraham Cooper of the Simon Wiesenthal Center, a museum focusing on the Holocaust, told Kotaku at the time that he was worried that the horrors of the holocaust were too complex and significant for a one note shooter revenge fantasy. “I don’t think even the best combination of game developers would ever be successful [at doing so]. This is not an issue that should be reduced to a game,” he said. Just like the escape room, the modders for Sonderkommando ended up yanking their project as well.